Be sure to bring your blankets and camping chairs for seating, and be sure to bring out the whole family and share with others! A special thanks to Manna Church Capital Area for partnering with us for this series! 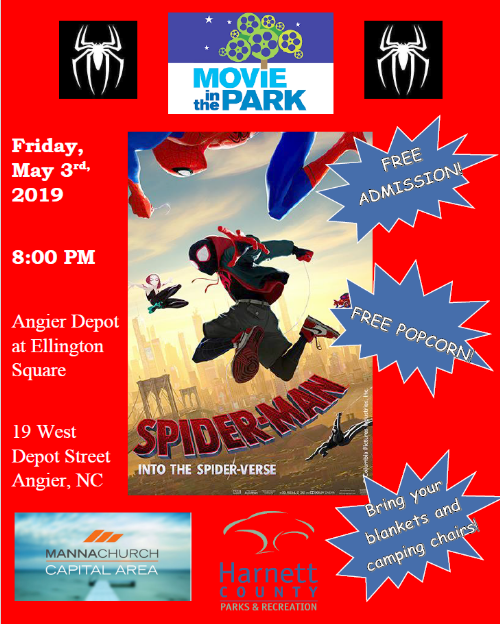 They will be providing free popcorn and bottled water for the Angier showing! - For updates and details on movie locations, follow Harnett County Parks and Recreation on Facebook!